Home buyers in the Williamsburg VA area looking for neighborhoods with homes on larger lots ( 1-3 acres +) have a variety of communities to choose from The Retreat which we will focus on here as well as Skimino Landing Estates The Conservancy, Liberty Ridge, Wexford Hills, Woodland Farms, Merry Oaks, Uncles Neck and Banbury Cross are some of the more popular neighborhoods. There are also numerous parcels off of Forge Rd, Brickbat Rd and others throughout the area that are simply rural or non neighborhood locations.Most of these are typically in the western part of James City or upper York County. Lot buyers can use the preferred builder ( Hallmark Homes) or they can use a builder of their choice as long as the plans meet approval by the architectural review board. Construction of new homes at The Retreat started in 2000 with the first home being delivered in 2001. Homes continue to be built and offered for sale today. Home sales have slowed in The Retreat community with only one sale in the last 12 months. Although foreclosures make up a small part of our community that one home was a bank owned home that sold in only 10 days on market for $505k. In years past home sale prices ranged as high as $1,096,000 for a 6500 sq. foot home that sold in 2005. The homes in The Retreat were built solely by PF Summers until 2007 when they ceased doing business. As noted previously you can now use the builder of your choice once you decide to build. Homes sizes in The Retreat range from 2300 to 6500 square feet with the median size coming in around 3200 square feet. pass for only $120. Upper County park is a 91-acre with amenities that also include a Toddler pool, Snack bar (pizza, hot dogs, drinks), Changing rooms with showers ,Shade Structure, Playground, sand volleyball and basketball courts, multiuse trails and a 3.5-mile mountain bike trail, horseshoe pits and picnic shelters..
How Many Homes: Approximately 50, 71 when complete. Taxes: Average: $3850 annual on a home valued at $500k ( a super low rate of $0.77 per $100 assessed value) one of the lowest in the area. Talk Back- Do you live in the The Retreat in Toano VA ? We would love to hear your thoughts on living there both good and bad. Please share in the comment field below. House Value-Want to get an idea of what your home in The Retreat might sell for ? Want to discuss our “No Surprises” Program ? Fill out the form here and we’ll get back to you ASAP. 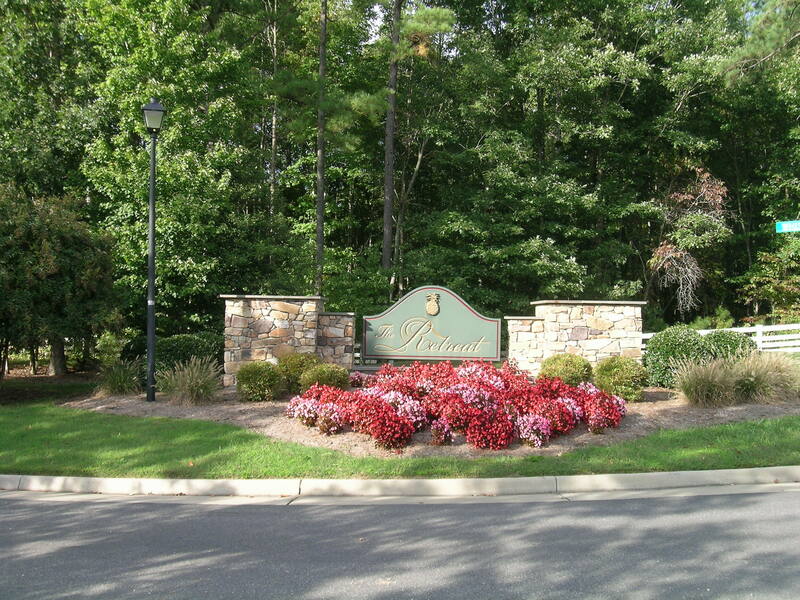 Do you live in Williamsburg Commons and want to keep up with home prices in the neighborhood ? Fill out my “Nosy Neighbor Update” and keep abreast of sales ! Like what you are reading ? Want to receive updates by email in the future ? psst … I’m a Realtor! Thanks for stopping by my website.